Please find attached the flyer and colouring competition for our fantastic upcoming bilingual show Woolly’s Quest. This is the epic story of Woolly, the bravest of all sheep. Woolly was the first sheep who dared to be different, dared to be adventurous and dared to discover what happens to her wool. Join Woolly on her audacious quest to reclaim her shorn fleece, marvel at her sheer bravery on a journey fraught with peril to learn what life looms beyond the gate. A rip – roaring bilingual yarn, Woolly’s Quest has it all, it weaves together storytelling, music, song and puppetry in a pulsating show that will have audiences of all ages hooked! Date and Time | SAT 6 APR, 1PM & 3PM. Looking forward to welcoming you to the Everyman! 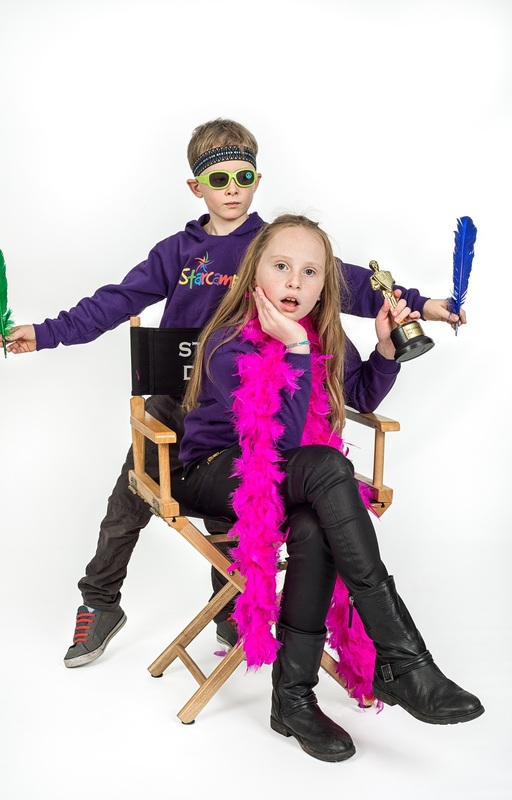 The hit RTÉjr show Donncha’s Two Talented is back and applications are now open for series 2! We are looking for talented youngsters aged 5 to 11 years of age to take part! Presenter rugby legend Donncha O’ Callaghan will be on hand to calm the grown-up’s nerves, as youngsters perform on stage themselves and then, following some mentoring, in duet with a chosen adult family member, be it Mom, Dad, Granny, Granddad etc. Donncha’s Two Talented will film in RTÉ studios in Dublin this May. This is a great opportunity for children to showcase themselves, be it singing, dancing, solo or duet; there will be no judges, no criticism, just family fun. Closing date for applications is April 10th. I’ve attached our call out flyer which you can share, please note to students will need to upload a 40 second performance clip to apply. If you need any other details you can reach us on 01 2843877. Please Contact Hilda - First come first served. One per Person. Are you looking for a fun Kinsale Summer Camp? We bring out the very best in all who participate in a non-competitive performing environment at our Kinsale Summer Camp. For all boys and girls aged 4-12.We have advancing programmes for Starcamp Superstars (9-12). At our Kinsale Summer Camp 2019 we have an open door policy and we aim everything we do at ALL boys and girls of ALL levels. It offers endless opportunities in the performing arena while endeavouring to transform your children into the most confident, self-assured, conscientious and caring children that they can be in preparation for life. STARCAMPS’ Kinsale Summer Camp offers endless, exciting and fun opportunities to all who partake! Why not join in the Singing, Hip Hop, Acting, Dance, Teamwork, Fun and Games at Starcamp’s Kinsale Camp this Year! Táimid ar ais arís le himeacht Gaeilge eile. Tá Pop Up Gaeltacht eile ar siúl ar an 22ú Márta i Daltons ag tosnú ar a 8.30. Dá mbeadh sibh in ann an téacs thíos a scaipeadh i measc na dtuismitheoirí, bheinn fíor-bhuíoch díbh. Chun críoch ceart a chur le Seachtain na Gailge, beimid ag bualadh arís an Aoine seo chugainn. Bígí linn ar an 22ú Márta sa Daltons chun cúpla focal a labhairt! Beimid ag tosnú ar 8.30. Céard atá i gceist? Daoine a bhfuil suim acu sa Ghaeilge, ag teacht le chéile chun Gaeilg a labhairt! Tá fáilte roimh chách, is cuma cén leibhéal atá agat. Seo é an nasc Facebook don imeacht: https://www.facebook.com/events/257682468514772/Freastalaíónn tuismitheoirí ón nGaelscoil ar ár n-imeachtaí agus bheadh sé tha barr níos mó dóibh a fheiceáil! Má thá tuilleadh eolais uaibh, bí i dteagmháil liom! Applications for School Transport for the 2019/20 School Year started on Monday, 4 March 2019 with closing data for all new applications on Friday, 26 April 2019. See https://www.buseireann.ie/inner.php?id=257 for all details. Tickets on sale now from the office at both schools. 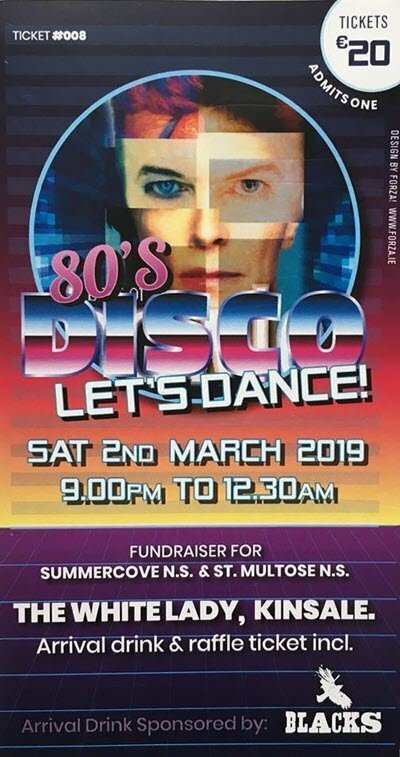 Tickets are €20 each including a welcome gin/tonic and entry to a raffle for a wonderful & generous prize worth €200 compliments of Old Head Golf Links. Bring friends , tell your networks, past pupils, future, current & past parents and anyone who loves a good night out! Under 6 to Under 10 (Born 2013/2014 to 2009) starts back Sunday, 3rd March 2019 in Sáile, from 11am to 12 noon. Please bring €2 for Sáile hire, Water, Hurley & Helmet, Shin Guards. Under 12 & Under 14 Training (Born 2008, 2007, 2006, 2005) Are currently training every Wednesday in: St Multose Hall from 6.45pm to 8.15pm. Please bring Water, Hurley & Helmet, Shin Guards and €2 for use of Hall. NOTE:- Sunday Morning Training for this group will resume on this Sunday 3rd March 2019 from 9.45am to 10.45am at the HURLING WALL only (until the pitches are available to train on). 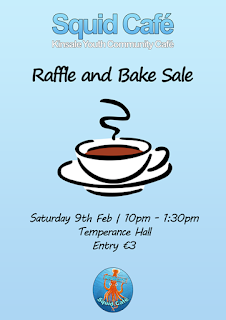 Rang 1 are on cake sale duty tomorrow, Friday 15th Feb 2019 so please remember to send in at least €1 with each child to buy a bun or cake to support this monthly school fundraiser. Club na Mara Extended Opening Times. Squid Café is the chosen name from the young people for our youth café in Kinsale. The café is run by Kinsale Youth Community Café for 10 to 16-year-olds, providing them with a fun, safe space to hang out. 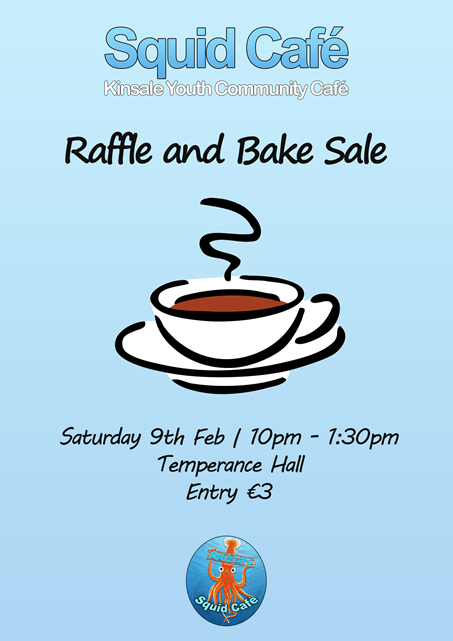 Please come along and support a much-needed community resource and take the opportunity to ask the Squid café coordinator “Hugh” all about what the café offers your children. Is é Squid Cafe an t-ainm atá roghnaithe ag na daoine óga as ár gcaifé óige i gCionn tSáile. Rithean Kinsale Youith Community Café an caifé do gasúr idir 10 agus 16 bliana d'aois, ag tabhairt spás spraoi, sábháilte dóibh chun Hangáil amach. Tar síos agus tabhair tacaíocht don acmhainn phobail tábhachtaí seo agus tóg an deis an comhordaitheoir caifé Squid "Aodh" a ceistú faoi gach rud a thairgeann an caifé do bhur leanaí.